Cara is responsible for protecting workers and monitoring the work environment for agents, contaminants, or chemicals that could cause illness. 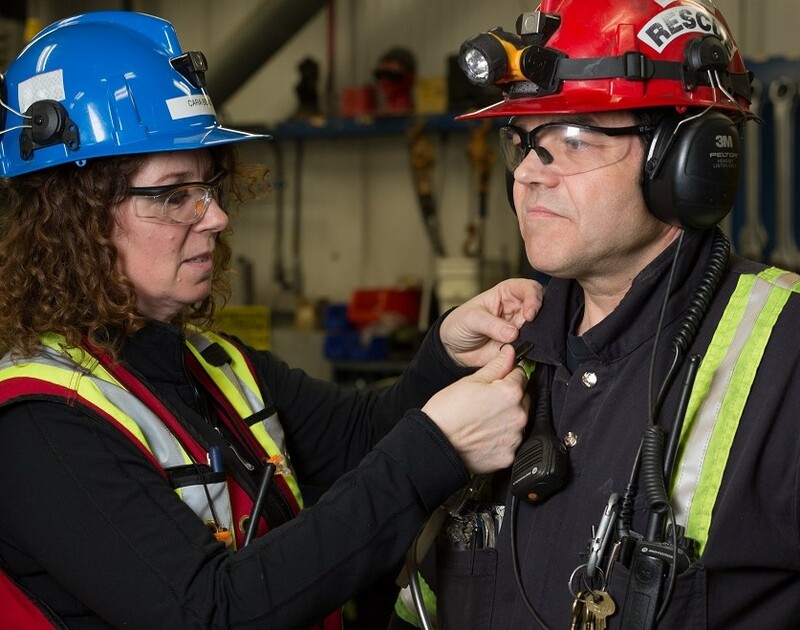 She measures worker exposure to noise, dust and diesel, and assesses worker health to understand if and how they are being affected by the work environment. Daily, she performs interviews, outfits workers with monitoring equipment, analyzes data, and coaches colleagues about safety. 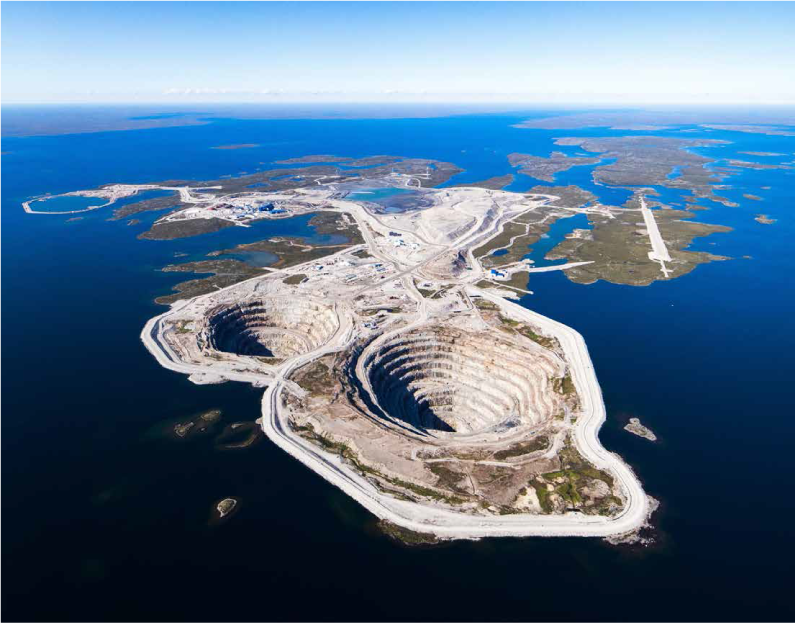 The Diavik Diamond Mine, located on an island in the subarctic tundra of Canada’s Northwest Territories, generates 1,233 jobs, including 542 northern jobs. When Cara first started her job, she was concerned about the remote location but was surprised with how effortless the transition to camp lifestyle was. 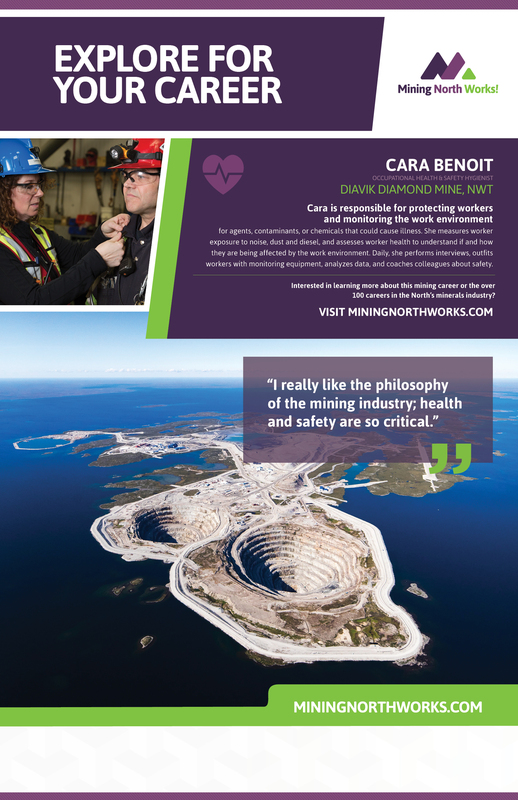 Interested in learning more about this mining career or others in the North’s minerals industry? Check out over 100 mining careers here. Click here to download the career profile poster.